Reinforced concrete cast onto steel decking, supported by beams or load bearing walls. 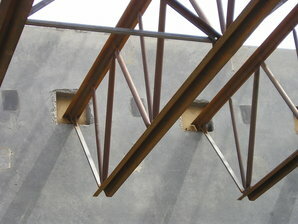 They are sometimes overlaid with light-weight roofing. 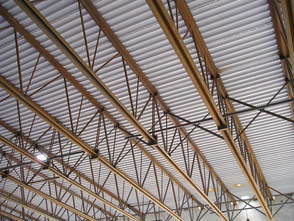 This system is similar to the floor system called Composite Steel Floor Deck and Concrete Slab.